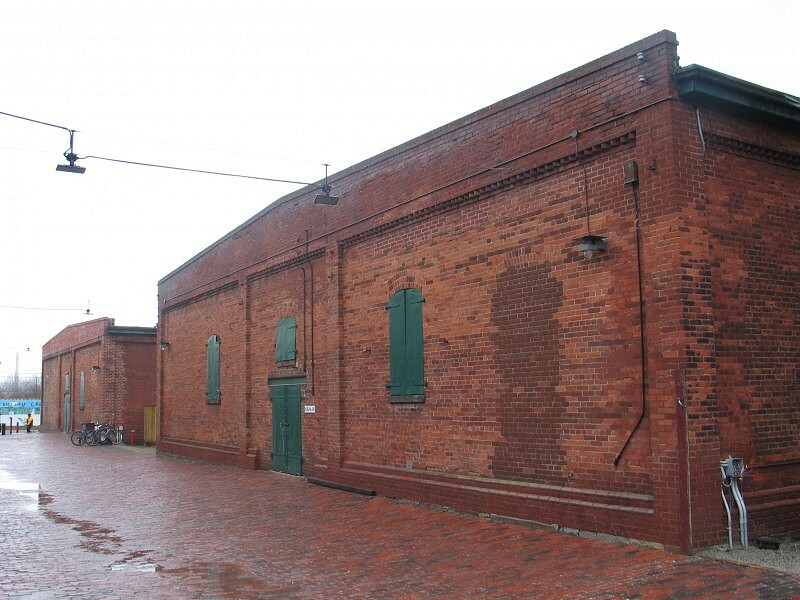 These two red brick masonry buildings were constructed at the Gooderham & Worts Distillery in 1889 as Tank Houses and later converted to serve as Rack Houses. The Gooderham & Worts campus (now the Distillery Historic District) is likely the largest surviving example of fine Victorian industrial architecture in Canada. It contains over 40 brick and stone heritage buildings (built 1864-1927) and hundreds of artifacts linked to the early development of Toronto and the nation. 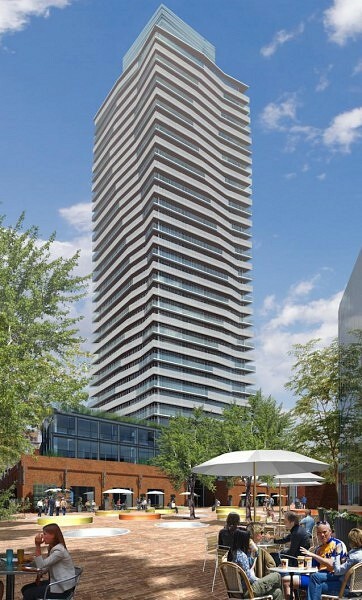 As part of the ongoing adaptive reuse of the District, the two Rack Houses have been incorporated into the design of a new 35-storey residential building by architectsAlliance. The two heritage buildings are retained in place and reconstructed to form the podium for the new building. The project also includes improvements to the public realm, with a new brick-paved public square and several new retail uses. 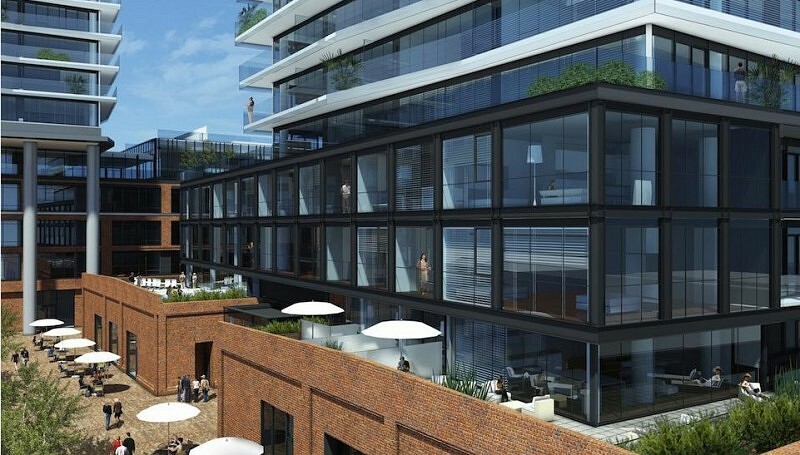 Learn more about the Distillery District in our Portfolio.